Mazagaon, also spelled Mazgaon and Mazagon (Portuguese rule Mazagao), and pronounced by the Catholics as Mazgon or Maz-a-gon and the Marathi-speakers as Mazhgav. It is one of the seven islands of Mumbai. It is part of South Mumbai and can be reached by Byculla Station on the Central railway line and Dockyard Road Station on the Harbour Railway line. Located in Mazagaon are maritime companies like the Bombay Port Trust and Mazagaon Dock Ltd., the Mazagaon Court and Anglo-Indian schools including Rosary High School, St. Peters School and St. Marys School. The word Mazagaon has been derived from the Sanskrit Matsya Gram, meaning fishing village. 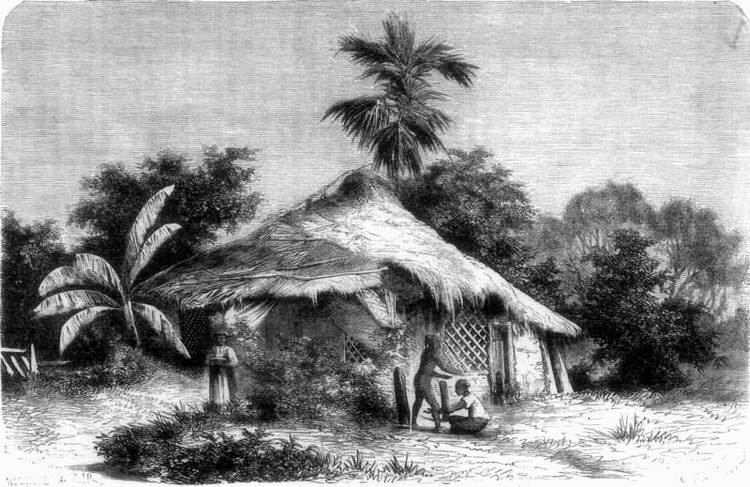 The original inhabitants were speculated to be tribals of Agari (salt-workers) and Koli (fishermen) tribes. However, folk etymology derives Mazagaon from the Marathi Maza Gaon, meaning my village. Another etymological claim suggests Portuguese origin, with the name borrowed from a city and fort of Mazagao in Morocco (now El Jadida) established by Portuguese in the beginning of the 16th century who totally evacuated to the Portuguese colony of Brazil in 1769. One of Mazagaons oldest claims to fame was a variety of mango trees which fruited twice a year. Apparently a few such trees were extant well into the 20th century. The small island was rocky, with a hill rising at the north, and forming a cliff over the harbour. To see what Mazagaon might once have been, one has to visit any of the tiny rocky islands bearing mango trees and small villages further down the Konkan coast. The first Portuguese settlers were the Jesuits, who established a church in the 16th century. Notwithstanding their claim, in 1572 King Sebastian of Portugal granted the island in perpetuity to the de Souza e Lima family, from whom the DSouzas of Mumbai trace their descent. When the Portuguese ceded the island to the English, there was a well established population of Roman Catholics, mainly fishermen. Although Eurasians were not uncommon. Some black African slaves brought by the Portuguese, known as Kaffirs, had also entered the ethnic mix. Some of their traditional wooden houses can still be seen, and are now protected heritage structures. The original Gloria church, Nossa Senhora da Gloria, was built in 1632 from a donation by the de Souza family. It was destroyed in 1911, being replaced two years later by a new Gothic church of the same name built a kilometer . Mazagaon was occupied by the Sidi of Janjira, an admiral in the Mughal navy in 1690. It is said that he was driven away a year later by the Rustomji Dorabji, who organised the fishermen in Dongri into a fleet. Rustomji was given the title Patel after this feat, and his descendants have remained the only Parsi family of Patels. With the reclamation of Umarkhadi, at the end of the 17th century, Mazagaon became an outlying suburb of Mumbai and a fashionable place of residence. One of the famous houses was the neo-classical Tarala, built by a member of the Wadia family in the late 18th century. Sold to the Jeejeebhoy family about a century later, it became the Sadar Adalat in 1925, when they moved out to Malabar Hill. Later still it was taken over by the army, and then donated to the J. J. Hospital in 1943 after a fire. It was used as a staff hostel for a few years before it was demolished. Other bungalows and plantations also grew up in Mazagaon as the British and the more affluent Indians moved out of the crowded fort. When the Esplanade was cleared in the Fort area, the armoury moved from Bombay Castle to Mazagaon in 1760 and gave its name to Gunpowder Lane. In 1790 the docks at Mazagaon were completed. In 1793, after the construction of the Hornby Vellard, the Bellasis Road was built to join Mazagaon and Malabar Hill. The next century saw a slow decline in Mazagaons fortunes, as the neighbouring Byculla became the fashionable suburb, and people began moving out. The process accelerated after the docks were reclaimed in the last thirty years of the century on the eastern shore of Mazagaon. 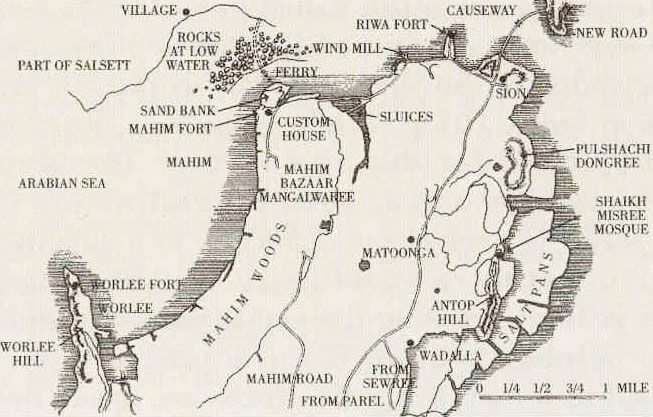 Mazagaon was left landlocked, and the fumes from the developing mills drove the last money out of this area. Among others, Tipu Sultan, the Mysore warriors relative Nawab Ayaz Ali, migrated here after the British defeated the ruler in 1799 and was buried here. Birthplace of Elvisto Savio Euphermiano Rodrigues. Among the more prominent places are: • Mahapurush Temple - Surykund CHS (Only Hindus allowed in this society). One of the oldest and famous temple of Mazgaon. • Seth Motisha Jain Temple, Love Lane • Bombay Port Trust or BPT. • Chinese temple (the only one in the city) • Framji Patel Parsi Agiary at Dockyard Road and the second Agiary at Gunpowder Road Opposite to Meenakshi Apartments. • Joseph Baptista Garden and Reservoir now named Bhandar Wada Water Reservoir (built in 1880) • Sales Tax Office (Government Offices) • M.D.L. (Mazagon Dock Limited ) - Ship-Builders To The Nation • Angre House (named after the Maratha Navy Kanhoji Angre) • Shah Hasan Alis Maqbara or Mausoleum (Hasanabad) • Islamic International School, operated by the Islamic Research Foundation under the direction of Zakir Naik. • Ganpati Mandir at Anjirwadi, which area is also known for its Industrial Estates and small and medium scale industries. • Ghodyacha Tabela-Horses Place-where previously Horses were kept. Now, instead of horses, we can see most of the area is occupied by garages and small industries. • Bhaucha Dhakka or Ferry Wharf which previously was harbour and the Big and Medium size Boats were leaving to Konkan, Goa area. Now small boats, dinghies, barges, ferries are operated and plying to Uran and its nearby area. Not only this but Ganapati-deity of Hindus are also immersed here. This is now especially known for its Wholesale Fish Market. • Mazgaon Telephone Exchange is situated in Love-lane area. • Sir Elly Kadoorie School, the only Marathi school in India which is run by a Jewish Trust. Second one only in the Nagpada area. • Central Railway Colony is also situated in between Dockyard Road Station and Reay Road Station and adjoining to Gunpowder Road in south and Mathar Pakhady Road in North. • Second Big Colony is of Mumbai Police Wing which is situated at Dockyard Road Station. • Retail Fish Market near Mazgaon Dock Ltd. • Mazgaon Hill or Joseph Baptista Garden or Bhandarwada Water Reservoire from where we can see over up to CST area in South and up to Mumbai Central are in West. • CSD – Central Government’s Canteen Store Department is situated at Gunpowder Road. • Mazgaon Court at Tadwadi area. Here in Tadwadi a B.I.T. Chawls big Colony is also situated. This Tadwadi area is also famous for its Dahi-handis. From this area only the world’s most famous second manual tower forming Mandals are operating in Mumbai. • Mankeshwar Mandir – A well known Century Old Hindu Temple is situated on Barrister Nath Pai Marg and near Darukhana Bus Stop or Mankeshwar Mandir Bus Stop. • Then there are Big Towers Like – Sai Niketan at Mazgaon Naka, Mazgaon Tower at Mathar Pakhady Road next to Central Railway Colony, at Mazgaon Hill there are two towers had come up recently. • Maharana Pratap Chowk from where various Bus Routes are starting to ply to other parts of Mumbai. This place is just opposite Sales Tax Office.